Anti-gun violence advocate Shannon Watts offered a blunt message for people looking to move the needle on gun violence: Start local. Watts said her organization, Moms Demand Action for Gun Sense, had “a 90 percent track record of killing NRA bills” at the state level but had also played an instrumental role in passing “good bills” across the country to restrict access to firearms. Watts cited laws across the country that closed background-check loopholes and disarmed domestic abusers. 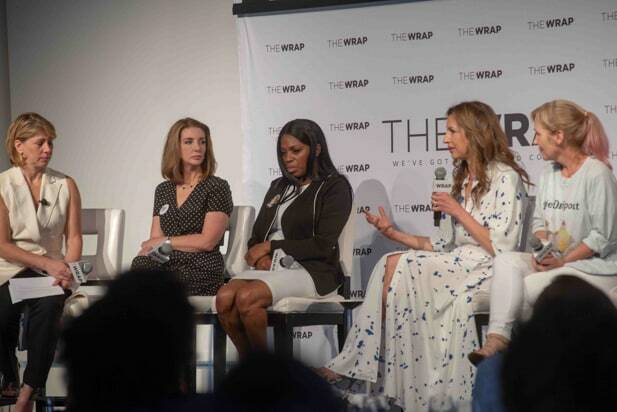 “There is nothing in my mind more powerful than a mom who is mad,” said TheWrap editor-in-chief Sharon Waxman, who moderated the panel. Watts was joined on stage at the breakfast by Shenee Johnson, a gun safety advocate whose son was killed in gun violence, actress Alysia Reiner and Marti Noxon, executive producer of “Dietland,” who shared their stories about the effects of gun violence and the need for change. Noxon said she, like so many others, was galvanized after the 2012 mass shooting at an elementary school Newtown, Massachusetts, which left 28 dead. “After Newtown, I went online and I couldn’t find a robust community to join of people wanting gun reform or gun safety and I was frustrated … I thought this is crazy, nothing comes up except the NRA,” said Noxon, who also relayed her own harrowing story about when her mother and daughter were trapped during an active-shooter incident as Los Angeles International Airport several years ago. Both mother and daughter escaped unharmed, but shaken. “It was such a terrifying experience. Those are kids to whom nothing happened and that is happening every day in our country,” Noxon said. Payal Kadakia, the founder and executive chairman of the fitness app ClassPass, and Anjula Acharia, a partner at the Silicon Valley venture-capital firm Trinity Ventures, discussed the challenges of female entrepreneurs in another panel, moderated by Fast Company’s director of video partnerships, Shalini Sharma. “First time I have ever been on a panel with two South Asian women,” said Sharma, marking the moment to applause. 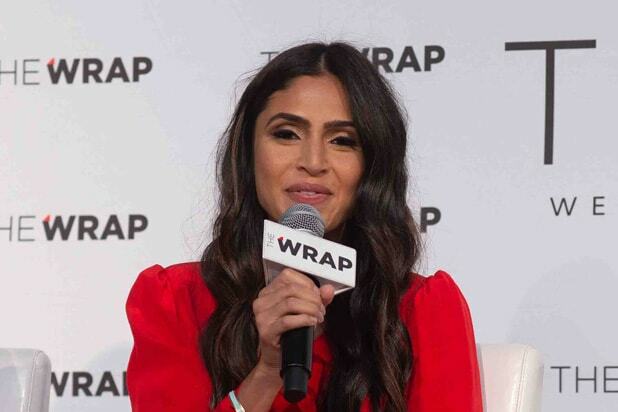 Acharia, who was an early investor in ClassPass, said that supporting Katakia was an easy decision for her because of some wisdom she once received from record producer Jimmy Iovine. “A mentor to me is Jimmy Iovine and he was one of the investors for my first company. He told me weeks after giving me a lot of money that my company is going to fail,” said Acharia, who added that when she asked why he would invest in someone with an idea he thought would fail, he used a musical metaphor. Kadakia said part of the reason she started ClassPass was to celebrate her culture. 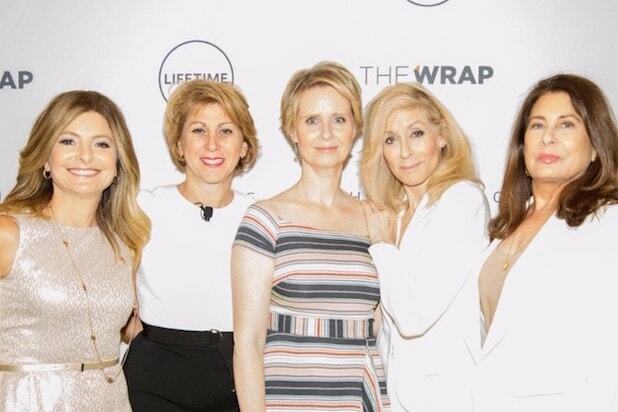 TheWrap’s Power Women Breakfast also featured a one-on-one interview between Sharon Waxman and Emmy- and Tony-winning actress Judith Light. In her remarks, Light spoke about her passionate advocacy for the LGBTQ community and how their struggles related to the #MeToo movement amonmg women now sweeping the nation. The actress encouraged women to break the silence. “If you have secrets, you need to tell them. You need to talk about them and that’s what happened and that is something that really thrills me,” she said. 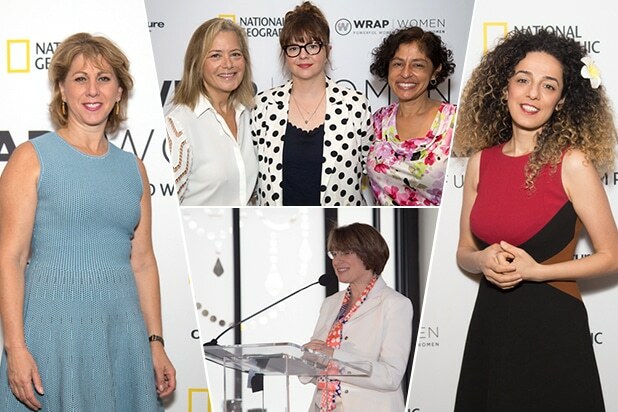 TheWrap’s Power Women Breakfast series is connecting and inspiring the leading influential women of entertainment, media, technology and brands in the key cities where those women work, create, gather, network and connect. All ticket proceeds go directly to benefit women’s leadership programs and gender equity initiatives via WrapWomen Foundation. TheWrap CEO Sharon Waxman interviews author-activist Masih Alinejad and foreign policy expert Michelle Flournoy at the Power Women Breakfast D.C.
Foreign policy expert Michele Flournoy, Rep. Debbie Dingell (D-Mich.), National Geographic editor-in-chief Susan Goldberg and National Geographic Global Networks CEO Courteney Monroe gather at the Power Women Breakfast D.C.
National Geographic photographers and filmmakers attend the Power Women Breakfast D.C.
Kim Gillies and Cristina Killingsworth at the Power Women Breakfast D.C.
Sharon Waxman, Masih Alinejad, and Michèle Flournoy, Power Women Breakfast D.C.
U.S. Rep. Debbie Dingell (D-Mich.) attends the Power Women Breakfast D.C.
Megan Swiatowski and Chanda Daniels at the Power Women Breakfast D.C. The scene at Power Women Breakfast D.C.
Sen. Amy Klobuchar (D-Minn.) opens the Power Women Breakfast D.C.
Sara Keller and Kim Kahnhauser Freeman at the Power Women Breakfast D.C. Guests at the Power Women Breakfast D.C.
National Geographic Global Networks CEO Courteney Monroe addresses the Power Women Breakfast D.C.
National Geographic filmmakers and photographers Asha Stuart, Beverly Joubert, Erika Larsen, Hannah Reyes Morales, Jess Cramp, Power Women Breakfast D.C.
Asha Stuart, Beverly Joubert, Erika Larsen, Hannah Reyes Morales and Jess Cramp, Power Women Breakfast D.C.
Jess Cramp makes a point at the Power Women Breakfast D.C.
Elisa Lees Munoz at the Power Women Breakfast D.C.
Sara Keller and Kim Kahnhauser Freeman at Power Women Breakfast D.C.
Carletta Hunt at Power Women Breakfast D.C.
Janet Donovan at Power Women Breakfast D.C.
TheWrap CEO Sharon Waxman interviews author-activist Masih Alinejad and foreign policy expert Michèle Flournoy at the Power Women Breakfast D.C.
Author-activist Masih Alinejad and foreign policy expert Michèle Flournoy at the Power Women Breakfast D.C.
Sharon Waxman and Masih Alinejad, Power Women Breakfast D.C.
Masih Alinejad makes her point at Power Women Breakfast D.C.
Kendrah Polk at Power Women Breakfast D.C.
Nicole Strong and Kendrah Polk at Power Women Breakfast D.C.
Erin Griffin at Power Women Breakfast D.C.
Michal Carr and Courteney Monroe at Power Women Breakfast D.C.
Alice Weiss and Barbara Katron at Power Women Breakfast D.C.
"American Fire" author Monica Hesse addresses Power Women Breakfast D.C.
Actress Amber Tamblyn, Power Women Breakfast D.C.
Monica Hesse with TimesUp Legal Defense Fund executive director Sharyn Tejani, actress-activist Amber Tamblyn and political consultant Hilary Rosen at the Power Women Breakfast D.C.
Amber Tamblyn and Hilary Rosen, Power Women Breakfast D.C. The scene at the TimesUp panel at the Power Women Breakfast D.C.
National Geographic's Susan Goldberg and Rep. Debbie Dingell at Power Women Breakfast D.C.
Masih Alinejad and Michèle Flournoy, Power Women Breakfast D.C.
Liana Bright, Murphy Shrub, Aviva Kempner and Guest at Power Women Breakfast D.C.
Ashlee Lawson at Power Women Breakfast D.C.
Sharon Waxman and a guest at Power Women Breakfast D.C.
Penni Berbert and Tami Wahl at Power Women Breakfast D.C.
Masih Alinejad and Rebecca Bustamonte at the Power Women Breakfast D.C.
Rosemary Reed, Jane Barbara and Guest at Power Women Breakfast D.C.
Sharon Waxman and Kim Bassett at Power Women Breakfast D.C.
Michele Flournoy and Guest at Power Women Breakfast D.C.
Rep. Debbie Dingell Susan Goldberg and Jill Cress at Power Women Breakfast D.C.
Liana Bright and Guest at Power Women Breakfast D.C.
Michele Flournoy, Alice Keating and Guest at Power Women Breakfast D.C.
Tami Wahl and Alice Keating at Power Women Breakfast D.C.
Michele Flournoy and Gues at Power Women Breakfast D.C.
Masih Alinejad and Michele Flournoy at Power Women Breakfast D.C.
National Geographic editor-in-chief Susan Goldberg, Power Women Breakfast D.C. Photographers and filmmakers from National Geographic attend the Power Women Breakfast D.C.
Rebecca Bustamonte at Power Women Breakfast D.C.
Leah Wojda and Kendrah Polk of NatGeo Partners, Power Women Breakfast D.C.
Michèle Flournoy, Power Women Breakfast D.C.
Author-activist Masih Alinejad attends Power Women Breakfast D.C.
Jane Barbara, Penni Berbert and Guest at Power Women Breakfast D.C.
TheWrap founder Sharon Waxman attends the Power Women Breakfast D.C.
Debbie Dingell, Masih Alinejad, and Michèle Flournoy, Power Women Breakfast D.C.
Courteney Monroe, Power Women Breakfast D.C.